The key to profitability is avoiding feed wastage. 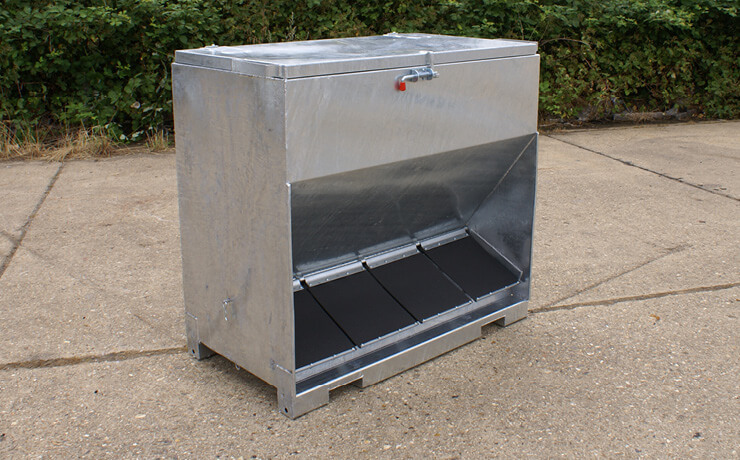 Our Ab-lib and Trough Feeders enable you to keep feed off the ground, reducing losses to trampling and vermin, and ensuring your sows get the intake and energy they need to at every stage in the production cycle. 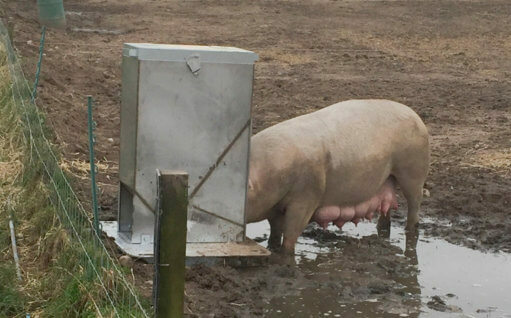 Our Sow Feed Troughs are designed to prevent wastage, and ensure your sows are getting the nutrition they need at every stage of pregnancy. 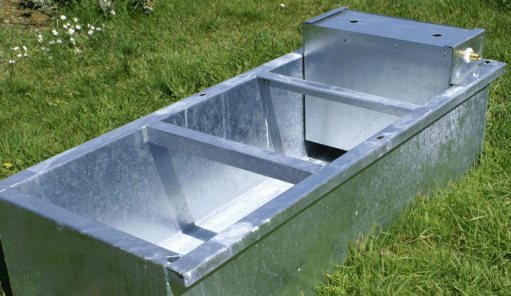 They are constructed from steel galvanised with a higher-than-usual zinc content, and suspended off the ground, making them exceptionally resistant to corrosion. 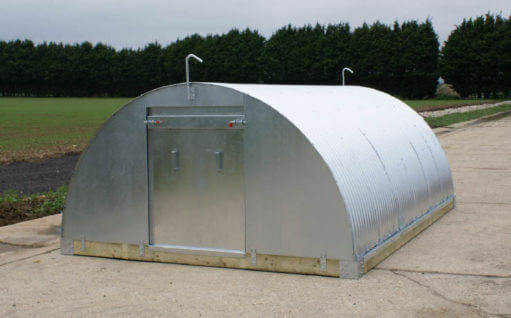 They can also be supplied in even tougher hot-dipped galvanised steel if you prefer. 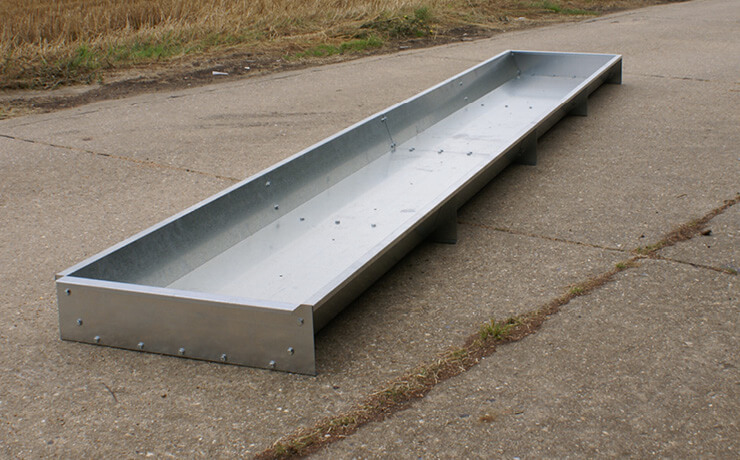 A key design feature is that our Troughs are reinforced from below, instead of using cross-braces. 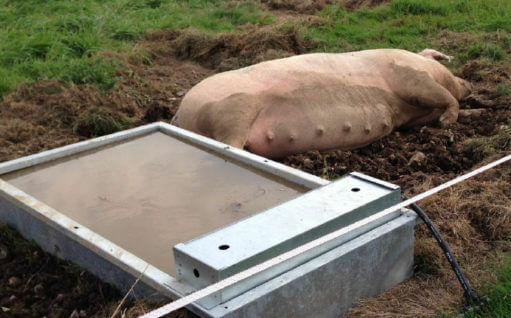 This reduces the risk of serious injury to sows through tripping, and makes cleaning much easier. 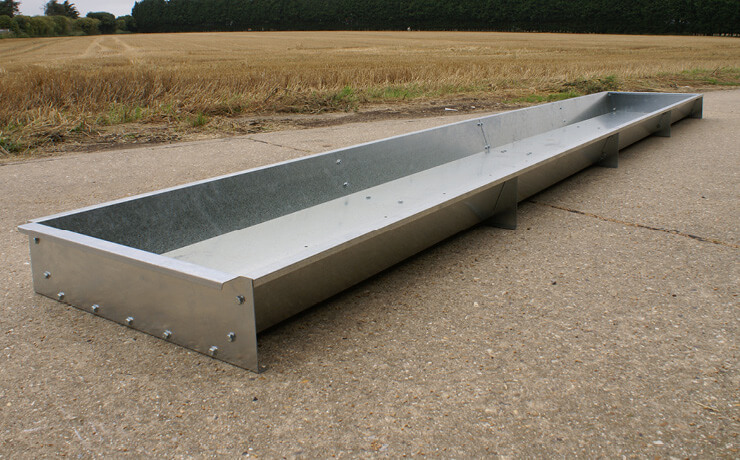 Sow Feed Troughs are available in a range of lengths up to 7.0m: we recommend allowing 0.7 – 0.75m of linear feed space per sow. 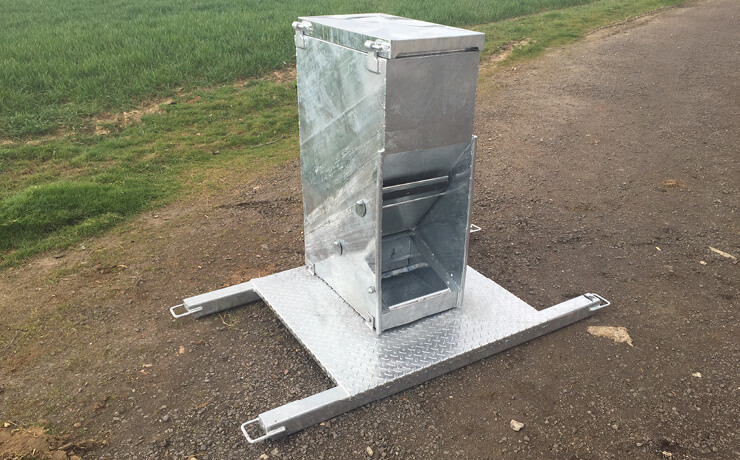 The HDG Ad Lib Feeder is available in a range of sizes, from a single-space, 110kg model suitable for individual farrowing paddocks up to a six-space version with a 660kg capacity. 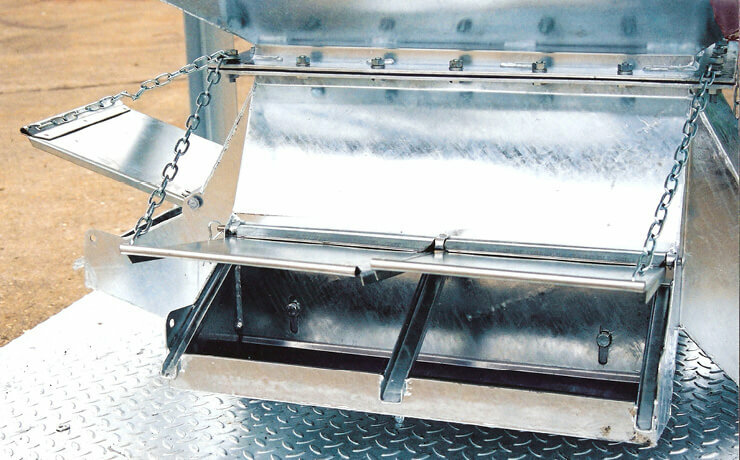 Drainage gutters and hinged flaps protect feed from water and vermin; a variable rake allows you to use the feeder with most ration types. Filling is via the hinged lid; moving the feeder is simple using the integral fork sockets mounted either in the base or, if you prefer, in the body of the feeder. 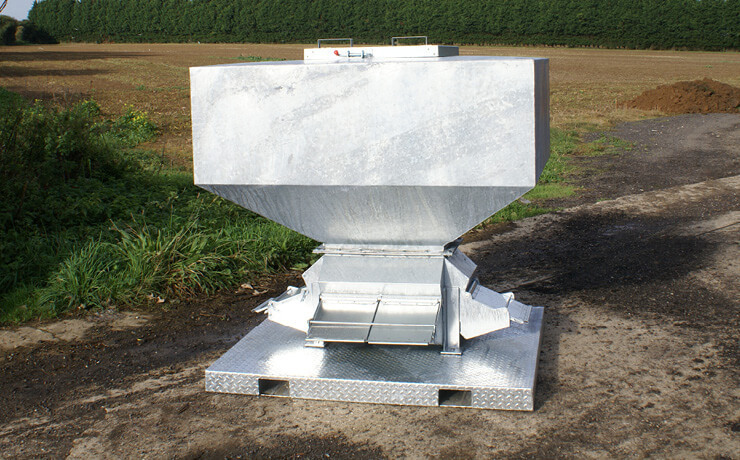 Our Standard Ad-lib Feeders are available in three sizes, the smallest with four feed spaces each side and a capacity of 450kg, and the largest with eight feed spaces each side and holding 1 tonne. 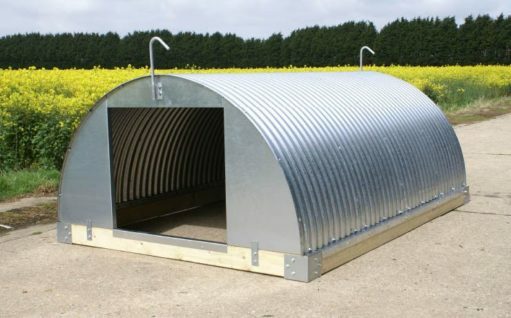 Each feed space is covered with a hinged flap to keep it water- and vermin-proof; an adjustable rake makes it suitable for any pellet or cob-type ration. A full-width hinged lid offers easy access for filling, while integral skids in the base with fork sockets and towing eyes makes moving simple, too. 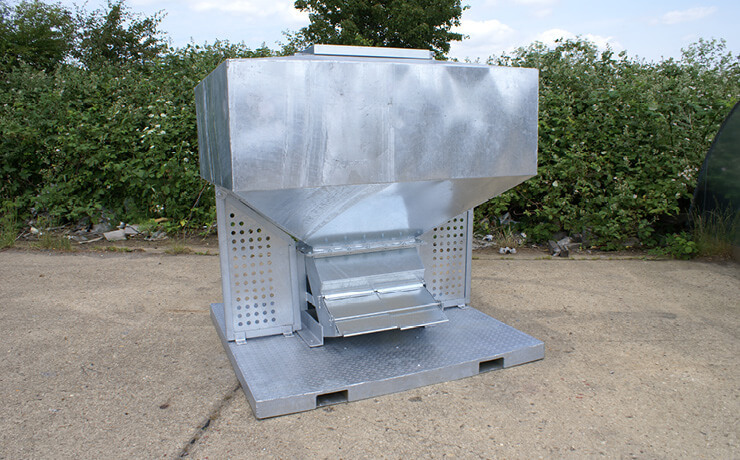 To avoid the build-up of stale food, the Hopper Style Ad-Lib Feeder is supplied with two, four or six feed spaces, to ensure a continuous and reliable throughput. 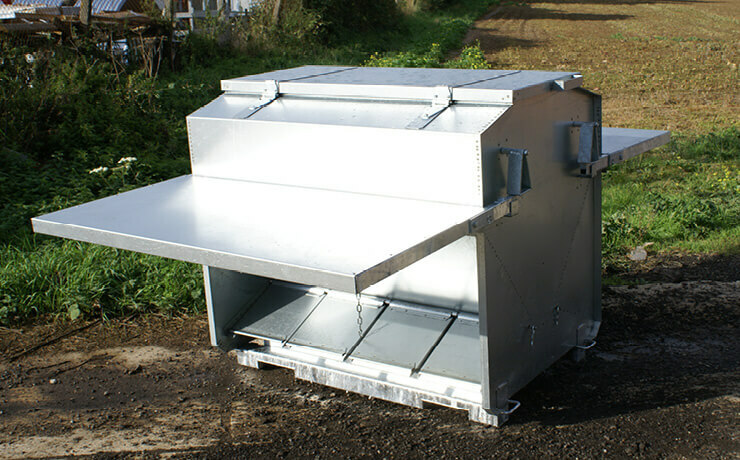 A hinged flap over each feed place provides protection from rain and vermin, while drainage gutters and an adjustable rake allow you to use any pellet or cob-type ration. 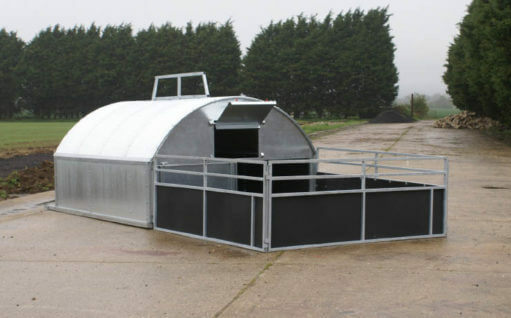 A large Durbar structural steel plinth adds stability, and provides a dry, secure standing area for pigs while they’re feeding. The plinth is designed with integral fork sockets for easy moving using a tractor and loader.